while in town for a show, Delta Alive. The show organized by CEO Quillox club, Shina Peller , saw Davido, Lil Kesh, Ice Prince, CDQ and others as headliners. Reports that the drama began when a G-Wagon was sent to pick Davido up from the airport, while a saloon car was used in picking Ice Prince. According to the reports, Ice Prince was reportedly infuriated by the gesture and bared his mind to the organizers of the event. 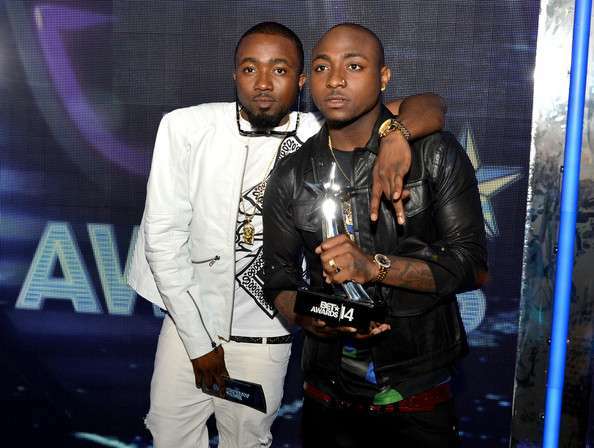 Whilst the organizers may have lent a sympathetic ear to Ice Prince's complaint, Davido was reportedly infuriated. EVB goes on to report that the situation escalated during the concert when Ice Prince was made to perform before Lil Kesh, which was seen as an insult as the former is a bigger artiste. Of course, Ice Prince made an issue of this and Davido who already had an axe to grind with the "Aboki" singer, spoke up in Lil Kesh's defense and things got messy real quick. "When they got back to the hotel, Davido was really pissed so much that he went to Ice Prince's door and started shouting and banging on the door before they calmed him down. "When they were coming back to Lagos, they had to move them to the airport separately and put them in separate lounges at the airport because they were still boiling at each other. There were also reports that that equipments at the concert was destroyed during the brawl but the information has yet to be confirmed. Evolutinalblog reporters has reached out to both parties for their response to the reports. Stay with us as the story develops.